Requirements management software helps project teams manage, document, analyze, prioritize, and set requirements for new products or services. It also connects development teams with relevant stakeholders and other interested parties, creating an avenue of communication about requirements and changes needed for the product or service. Requirements Management reviews by real, verified users. Find unbiased ratings on user satisfaction, features, and price based on the most reviews available anywhere. With Jama Connect as your single source of truth for definition, verification and validation, you can benchmark and monitor team performance over time to understand the benefits of retooling your product development process. You can strengthen collaboration around critical information and tradeoffs. And you can efficiently reuse IP across products. Strategic requirements management and traceability solution focuses on development lifecycle collaboration. (CLM) Available onsite and on cloud. Increase satisfaction Understand customer needs and respond effectively to changes collaboratively as they occur. Manage compliance Capture and manage traceability to tests and other engineering artifacts, including software, throughout the product development lifecycle. Reduce cost Improve performance to help your teams reduce development costs by up to 57 percent, accelerate time to market by up to 20 percent and lower cost of quality by up to 69 percent. Improve engineering efficiency Support common application conventions, such as user experience and design standards, to provide a unified, seamless experience in multi-tool solutions. Accelerate time to value with cloud Use the cloud to get up and running faster. With no hardware, provisioning or installation needed, your team can focus on your business goals and technological innovation instead of maintenance. Support all domains for requirement Drive software and systems engineering with requirements in all forms of engineering domains including systems engineering, agile/lean/SAFe, continuous engineering and DevOps. agileSpecs combines agile specifications with requirements management and issue tracking. For the first time, integrate your specification into your agile process. Use your specification as an agile tool and turn it into your single source of truth. 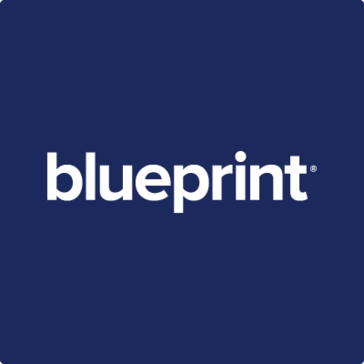 Blueprint is a requirements management software that helps organizations to de-risk and accelerate large, complex IT projects and deliver enhanced business value. Micro Focus Atlas (formerly Borland Atlas) simplifies requirements capture, management, and tracking so teams can respond with agility to shifting business priorities and customer expectations. Modern Requirements is dedicated to offering all of the essential tools to effectively manage projects throughout their life, reduce time to market, and improve project quality. By providing the market's leading Software Requirements Platform, our mission is to successfully optimize both client products and system development lifecycles! Accompa is a requirements management software helps to capture and manage requirements for products and projects. aligned elements is a requirements management software helps to create, manage and trace the design control items of the design history file. CA Agile Requirements Designer is a requirements management software that helps to: reduce requirement ambiguities and reduce software bugs. It also helps to accurately estimate the cost of new software development and changes to existing systems. CaseComplete is an agile requirements management tool. Users can capture software requirements and use cases with less effort. Generate requirements documents automatically. 3SL Cradle is a requirements management and systems engineering software tool. DevSpec is a collaborative requirements management solution for all stakeholders involved in editing and approving product requirements before. Enterprise Tester is our quality and test management platform, preferred by some the world's most recognised organisations. Complete coverage and traceability, powerful reporting for management, simplified functions and re-use operations for testers. Built for integration with Atlassian to give full line of sight between DevOps, quality teams, and customer results. CaliberRM is a requirements management software that facilitates collaboration, impact analysis and communication. MindPeer is a research management platform that streamlines the production of bespoke intelligence. Today requirements engineering is a key discipline in software and system development projects. The objectiF RM helps you to easily describe stakeholders, goals, requirements and test cases in a uniform manner by means of dialogs. Develop the system architecture with Block Definition Diagrams, Internal Block Diagrams, Class Diagrams, and Package Diagrams according to UML/SysML. And generate documents (system and requirements specifications) in MS Word with templates. RaQuest is specialized for requirements management and realizes requirements visualization, process management, scope control, and requirements baseline management. ReMa is a requirements management software that helps the project managers to track requirements and manage them through the entire software lifecycle. ReqSuite is a requirements management software that provides common requirements management features, advanced assistence features for requirements elicitation, requirements specification and requirements validation. Reqtify is an easy to use, interactive application for managing requirements. ONE We started RequirementONE to help firms free up content that is locked in documents, spreadsheets or binders on the shelf, and transform, them into structured actionable information TWO To allow firms to automate as much as possible so their staff can be freed to pursue more valuable goals for the business THREE To give firms an alternative to having to maintain dozens (if not hundreds) of point systems by providing a platform that be scaled to do it all But that's not the end of the story. We're determined to be the power of innovation in this area. By utilising state of the art artificial intelligence, our goal is to build systems that learn from you and your data - helping you work more efficiently and effectively. The future of requirements management has arrived. RMTrak is a non intrusive program that captures, tracks, and manages the project requirements you keep in your requirements documents without interfering with your document creation process. RMTrak lets you use the tools you're already familiar with to format and edit your documents, including Microsoft Word with its powerful word processing features. TraceCloud is a SaaS based requirements management solution. Visure is a leading provider of requirements management tools offering a comprehensive collaborative ALM platform including full traceability, tight integration with MS Word/Excel, risk management, test management, bug tracking, requirements testing, requirements quality analysis, Requirement versioning and baseline, powerful reporting and standard compliance templates for ISO 26262, IEC 62304, IEC 61508, CENELEC 50128, DO-178B/C, FMEA, SPICE, CMMI, etc. Visure’s value proposition is nothing less than the total innovative and disruptive technology in key functions, system performance, standard compliance and solution economics for engineering requirements of safety-critical and business-critical systems. Users utilize advanced functionality by leveraging modern best of breed technologies coupled with other ALM tools such as DOORS, JIRA, Enterprise Architect, HP ALM and other testing tools; Unrivaled system economics that guarantees the highest quality and drastically reduces total life-cycle costs. Hi there! Can I help you find the best Requirements Management solutions?